The news on the street is all about the new Pandora charms set to be released next week at Disney Parks and select Pandora stores nationwide. What about the Disney charms that Chamilia has been creating for years now? How quickly we forget that these charms are still currently available! The question is, with the release of the Pandora charms, will Disney continue to be a part of the Chamilia charm family as well? There has not been any official news on the topic but the question has also been carefully avoided. Disney Park Blog has not stated either way whether they are going to continue carrying Chamilia charms after they have sold their current stock. The topic was rerouted by Steven Miller when asked this exact question on the Disney Park Blog. In fact, there was an article published on endangeredtrolls.com, that Chamilia had lost their contract with Disney. This would lead me to believe that Chamilia charms are no longer going to be made. 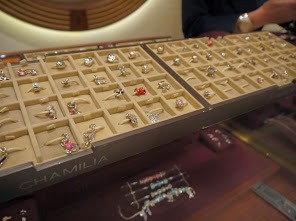 Speaking with cast members on the Disney Dream a few weeks ago, I was also informed by that there is not enough room in their jewelry cases for both Pandora and Chamilia charms. The new Pandora charms are set to arrive on the ship in mid November. You do the math. Seeing as how it looks like the beloved Chamilia charms will no longer be available once they have run out, let’s take a look at where you can purchase them, whether you can mix and match them with Pandora charms and a brief peak at the types of bracelets available. There are a bunch of websites that continue to sell Disney Chamilia charms. 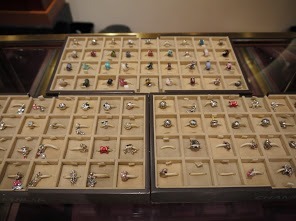 If you do a search on google, you will find a multitude of charms available. Chamilia.com has the largest selection that I have seen thus far. There are 46 items available on their website in this category alone. They continue to have charms from assorted collections, including the Princess Collection. There are other charms that are exclusive to the Disney Parks and these charms may still be available at the parks, if you happen to be going. If you are not going to be in Florida or California any time soon, perhaps Disneystore.com has what you are looking for. If the Disneystore.com doesn’t have the charm you desire, try mousetoyourhhouse. If the Disney parks still have the particular charm available, Courtney from mousetoyourhouse can get it for you! Here’s the good news, Pandora charms and Chamilia charms are supposedly interchangeable. There are some reports that the odd charm does not fit. I would make sure you tested it on your bracelet before purchasing it first or, at the very least, make sure there is a refund policy in place. This way, you aren’t stuck with a charm that you can’t use. Chamilia has 4 different types of bracelets you can purchase. 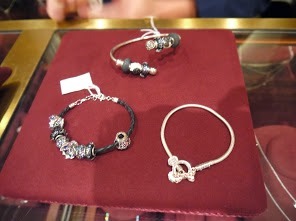 The leather bracelet ($38), Minnie toggle ($100), bangle ($70), and the regular silver bracelet ($58). The charms range from $45- $121, unless on sale. 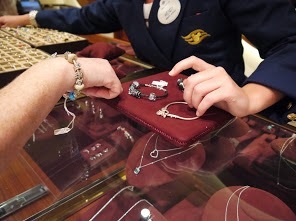 The Disney Dream had a huge assortment of charms a couple of weeks ago and I took the opportunity to check out the charms and try on a few to see what I liked. The Minnie toggle bracelet was actually my favorite because it has that little extra something that the plain bands don’t have. It’s like having a permanent charm included. It’s as easy to get charms onto it and the toggle is sparkly, which I love. There are way too many charms to speak about and, for those who already have Chamilia charm bracelets, you already know what is out there anyway. For those of you who do not, please go online if you are interested and do a search. I promise you will find an abundance quite easily…. for now. Well, there’s the truth of the matter. No more Chamilia contract means no new Chamilia Disney charms in the future. What do you think? Are you ready for the switch to Pandora?? Let me know your thoughts in the comment box below. I’ve gotten some really nice Disney charms at Kohls. I’ve done a whole bracelet with them and with all the discounts and Kohls cash and other coupons I’ve never paid more than $10 for any of them.